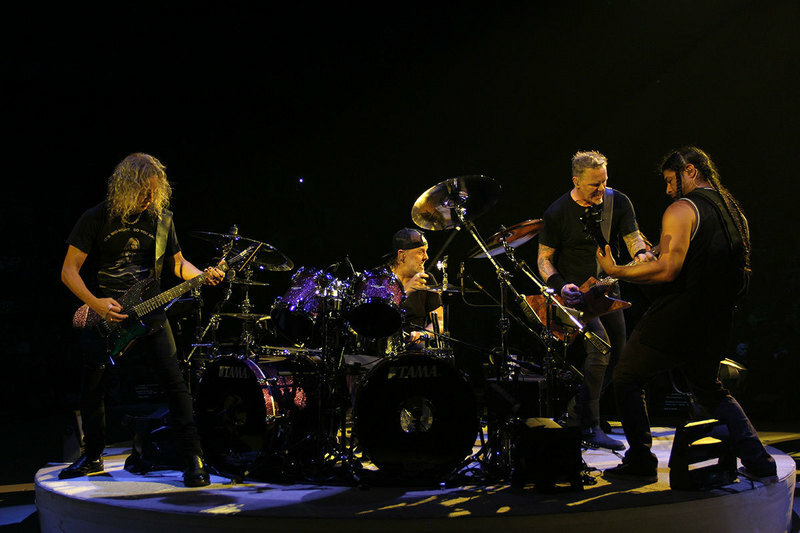 Metallica performed a pair of tracks from their latest album, “Hardwired…To Self-Destruct”, during two shows at Sportpaleis in Antwerp, Belgium last week, and the band are sharing professional footage from the event. Videos of “Moth Into Flame” from a November 1 appearance and “Dream No More” from a November 3 date have surfaced as part of the final two concerts on the group’s fall tour of Europe. Produced by Greg Fidelman, drummer Lars Ulrich and guitarist James Hetfield, the band’s tenth album topped the charts in 57 countries around the world upon its release last fall. The longtime Bay Area residents will be joined by the Dave Matthews Band, G-Eazy, Rancid, Dead And Company and more for the event that will raise funds to assist families impacted by the fires and honor the thousands of first responders. The group’s major label debut became thrash metal's first platinum album on its way to US sales of more than 6 million copies.